Semi-final set-up in the CBD. There was screams, tears and vomit! So you can forgive me for being a bit preoccupied! 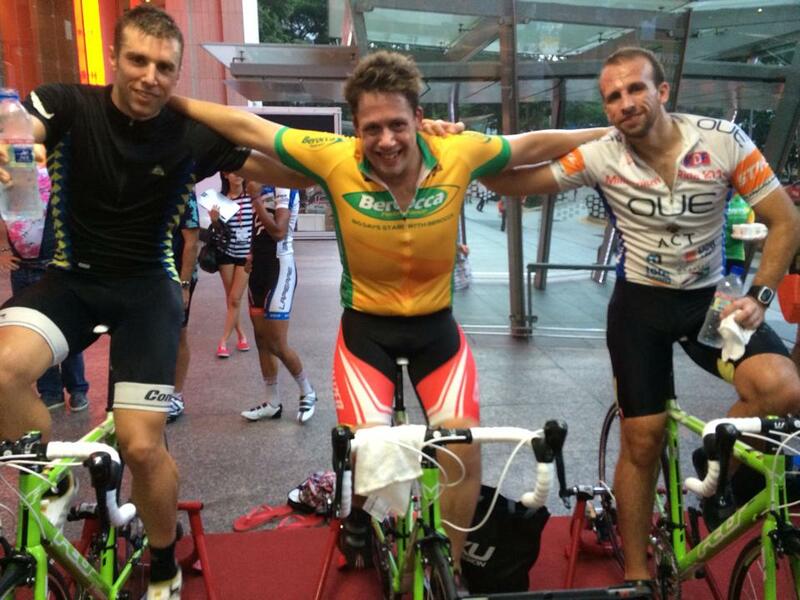 To make the final tonight, my team had to ride through the qualifying stages and the semi-final (last night). Doesn’t sound like big distances but have you ever gone 100% up a 6-9% gradient for 15 minutes!?!? 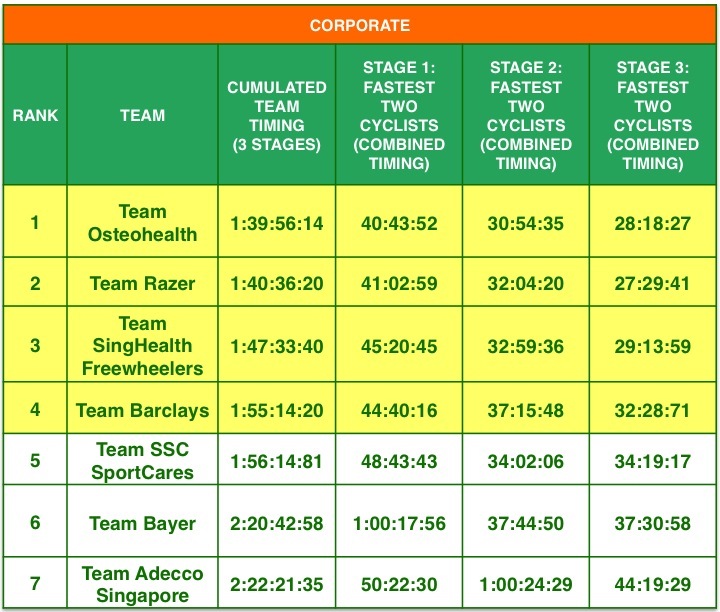 All the teams have pumped out some great results (I have listed them below) and as you can imagine the semi-final was hotly contested – there is a great video on the OCBC Singapore Cycle Facebook page for those who want to see how it is done. 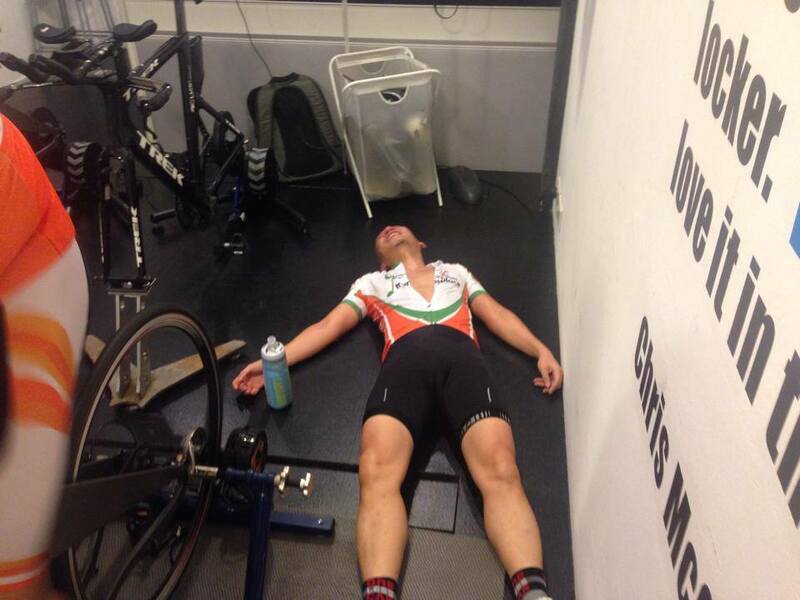 Isn’t that nice…..my teammate was one hell of a sweating b**tard! Great names. So if you are a rider in Singapore, I would encourage you to come down and check out the final this evening in the Forumla One pit after work today (Friday 28th March). I believe we are kicking off at 6:30pm, but I will be posting twitter updates this afternoon – @NWLongworth – so keep a lookout! 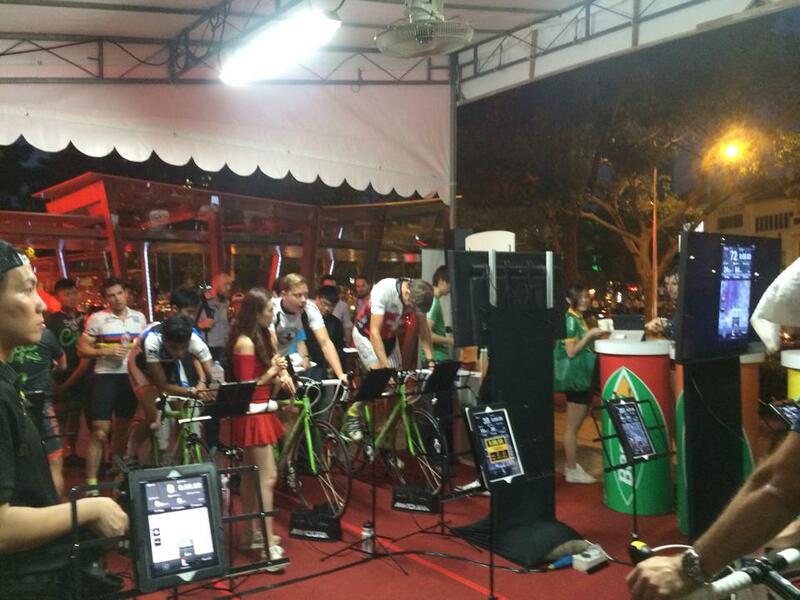 No doubt there will be giveaways and all the Berocca bottles & drinks you can carry! 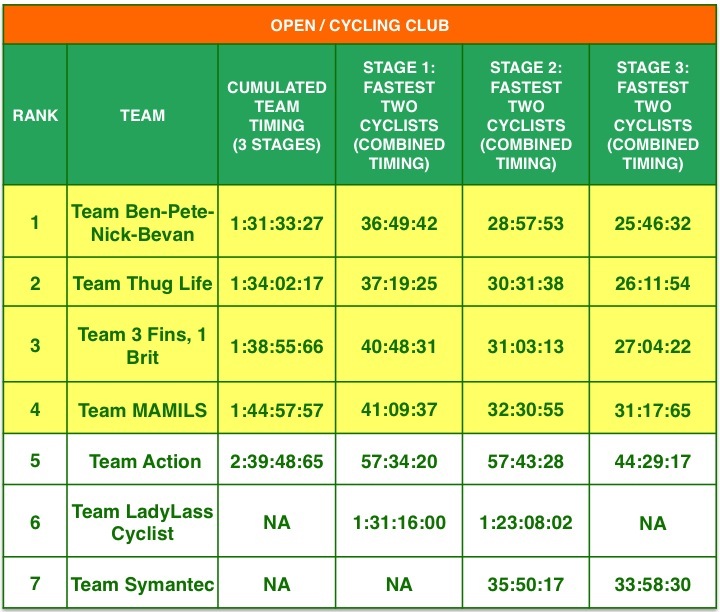 Jeez, after all this excitement I wonder if I can get a last minute entry in the 60km road race on Sunday………..